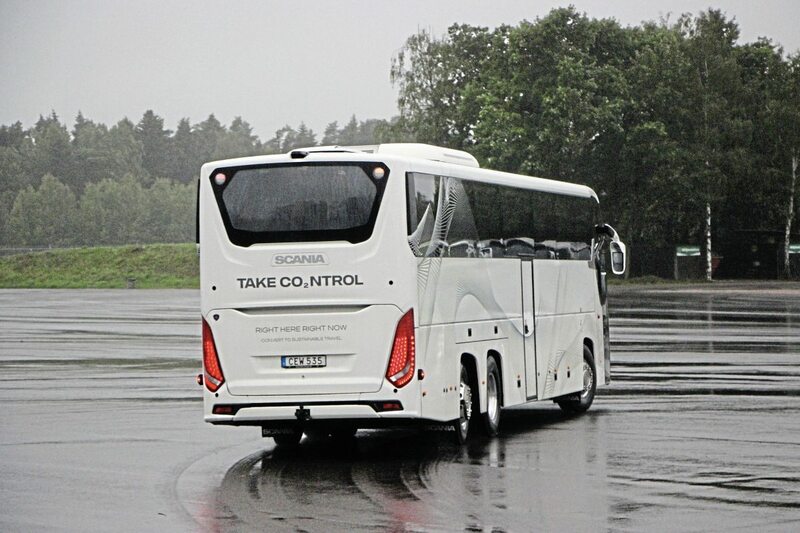 The top-of-the-range tri-axle was presented for test, with a great engine and slick gearbox well-liked by the drivers. In the job for only ten months, Scania’s Senior Vice President, Sales & Marketing, Buses & Coaches, Karin Radstrom, told the Jury that Scania has doubled its market share and the number of buses it sold between 2012 and 2016, achieving a total of 8,253 in 2016, up 21% on the previous year. 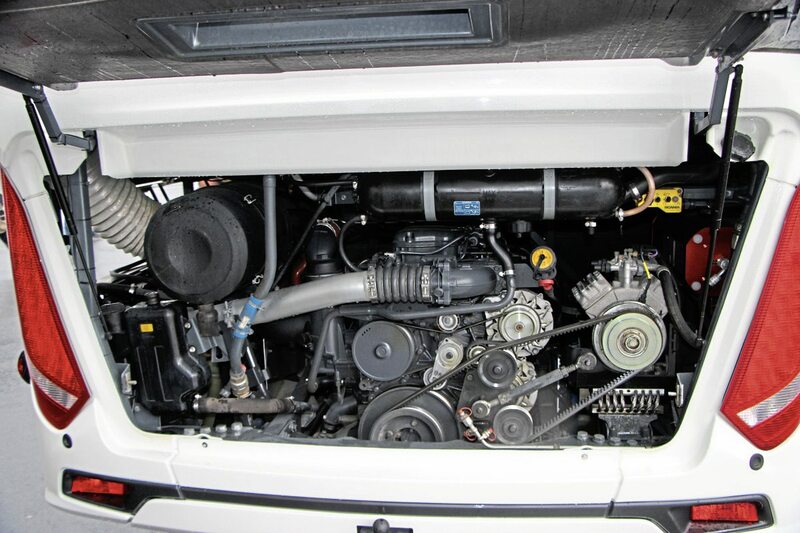 It intends to stick to its established strategy of modular construction utilising as many parts as it could that were common with the truck range, among them the engine, fuel system and electrical architecture. 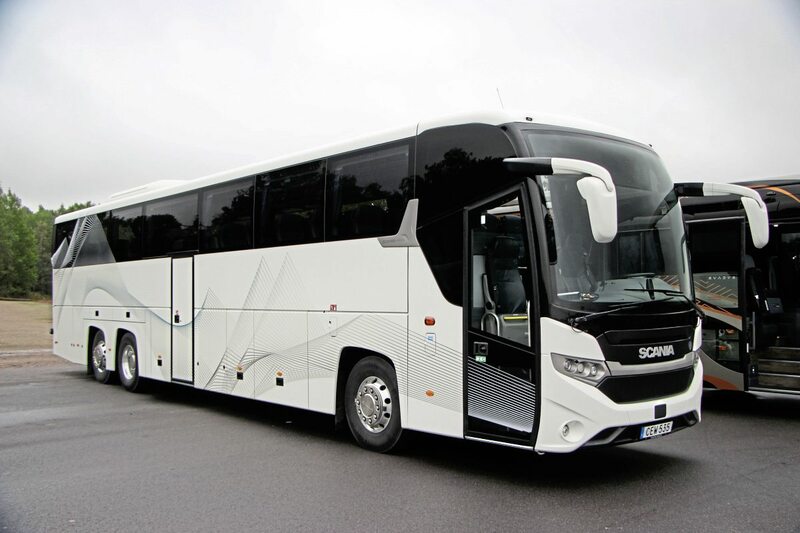 Spearheading its complete vehicle sales is the ‘Specially designed for everything’ InterLink range, successor to the earlier OmniExpress which like its predecessor has the body built at Lahti in Finland in the premises that were formerly home to Lahden Autokori Oy. 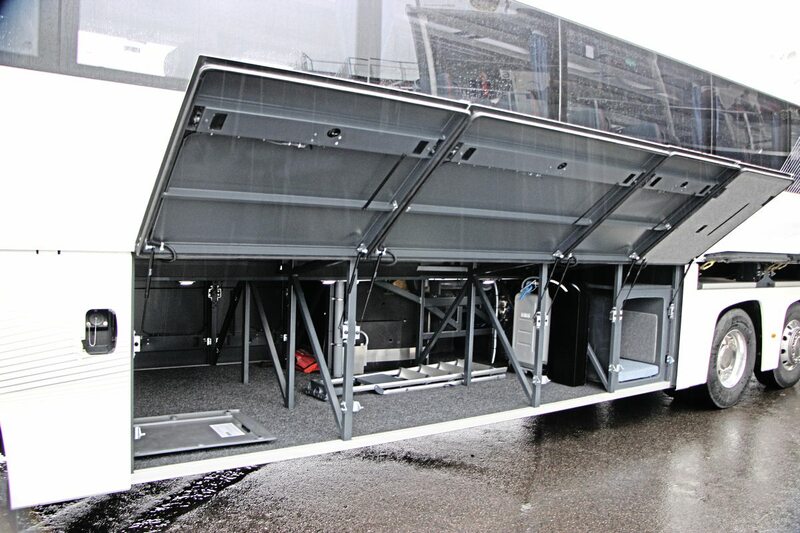 The chassis modules are produced in Sodertalje, Sweden. Offered in three heights as the LD, MD and HD ranges with similar body structures, it can be supplied at any length between 11m and 15m and on two or three axles with either the nine-litre or the 13-litre engine option, though I’d have thought the tri-axle HD was a lot of coach for the nine-litre unit. The test vehicle was the top-of-the-range HD tri-axle version, intended for long-distance express as well as tourism duties that represented the marque on home soil. Measuring 14.09m, it had the centre-door toilet and continental door arrangement, though you can opt to have these at the rear. 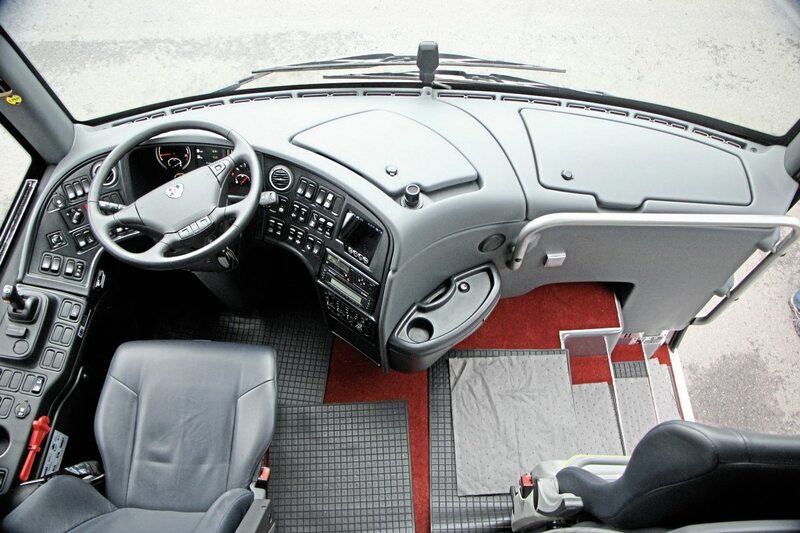 The InterLink body structure is 14cm narrower at the front, only 2.41m rather than the 2.55m of the rest of the coach, a move that reduces the turning circle, saves around 100kg in weight and results in a fuel saving of around 3%. 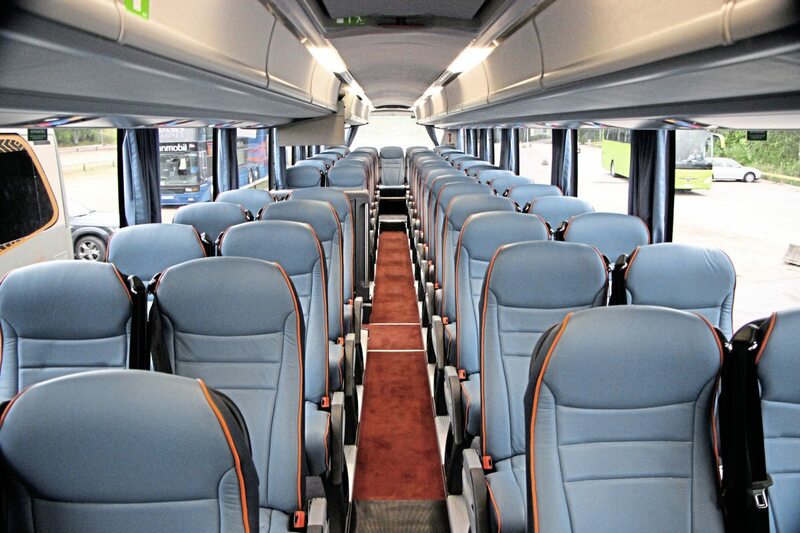 The HD model entered is sold in the UK as the InterLink Finesse and has won some significant customers this season, especially among fleet buyers. 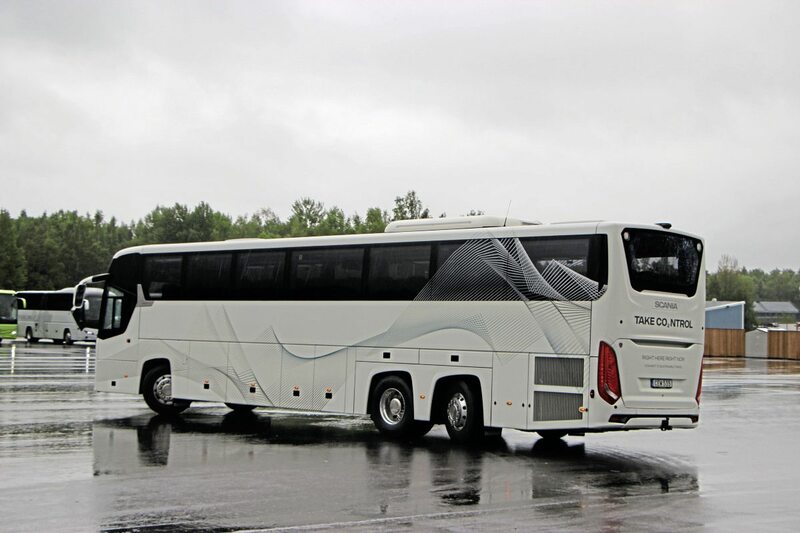 To my mind, though you can still see the influences of the truck design team, the InterLink has a much more coach-like appearance than the Touring and a far better rear end treatment than the OmniExpress, though several members of the Jury mentioned the need for bigger windows. 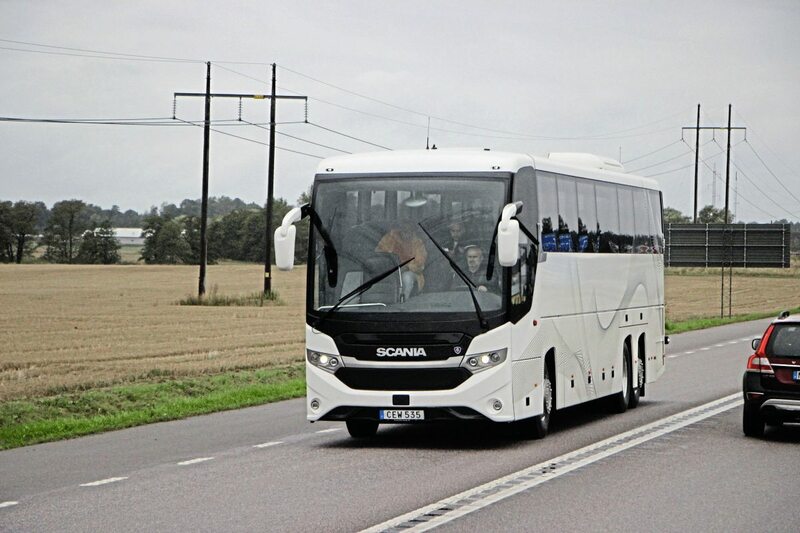 Scania’s intention was that it should look less Scandinavian than its predecessor. Inside there was criticism of how dark it was and the old-fashioned and overly plastic dash area with large numbers of switches, but praise for the comfort of the driving seat, which gave good lateral support and could be extensively adjusted without sight of the controls being lost, though somewhere to put the driver’s phone would have been beneficial. 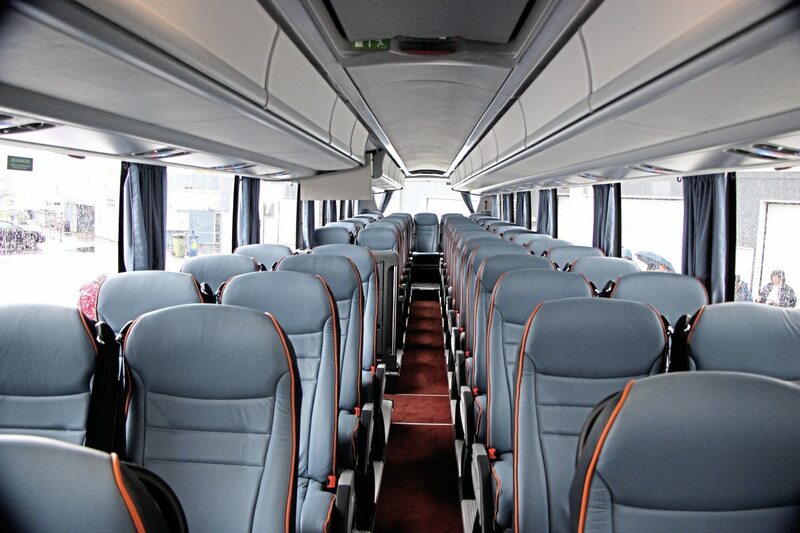 We were told that this was the First InterLink HD to be fitted with well-appointed Kiel Avance 1020 seats, with the second scheduled to appear at Kortrijk. This is a three-point belted seat already offered in the Touring. Some criticised them for the slipperiness of the leather trim but I found them among the comfiest encountered and liked the feel of the soft leather. Some aspects of the interior struck me as unusual and a little dated, among them the side panels that appeared to be finished in a rippled metallic style and light units that instead of illuminating throughout the full length of the aisle, lit up only in alternate sections. The coloured buttons for the passenger service units were easily identified in three different colours but did not have a quality look about them. Also much liked was the driving experience, which was undemanding on the driver and the driver feedback feature which was thought useful. There was some question over the application of power in the wet as, during the acceleration tests, it had repeatedly spun the wheels and the ASR had come in. 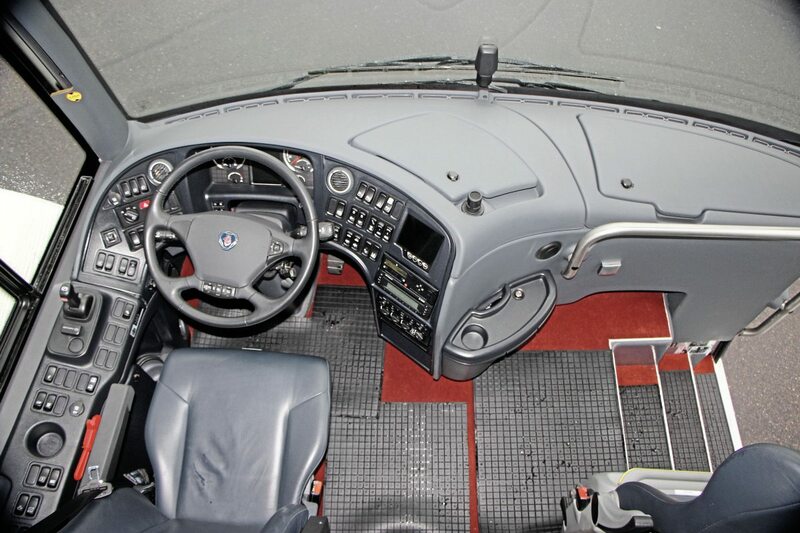 Well matched to the Scania GRSO895R 12-speed overdrive gearbox with integral retarder and Opticruise two-pedal, fully-automated gear changing system, the 450hp, 12,7-litre engine (which Scania refer to as a 13-litre) delivers 2,350Nm of torque and does not require EGR to handle its emissions, a characteristic it shared only with the Iveco among the participating vehicles. Scania talked of other fuel options it can already offer with the coach range, including HVO, natural gas, bio diesel and biogas. It is already working on an LNG version and as for electrical model, as Karin Radstrom put it, ‘who knows’.